The objective of this study focus is to prepare students for a possible India use as an expatriate/interface manager for India, so they are provided with an overview of the country and the issues they will encounter in professional everyday life in India, such as culture, macro- and micro-economics and political agenda. 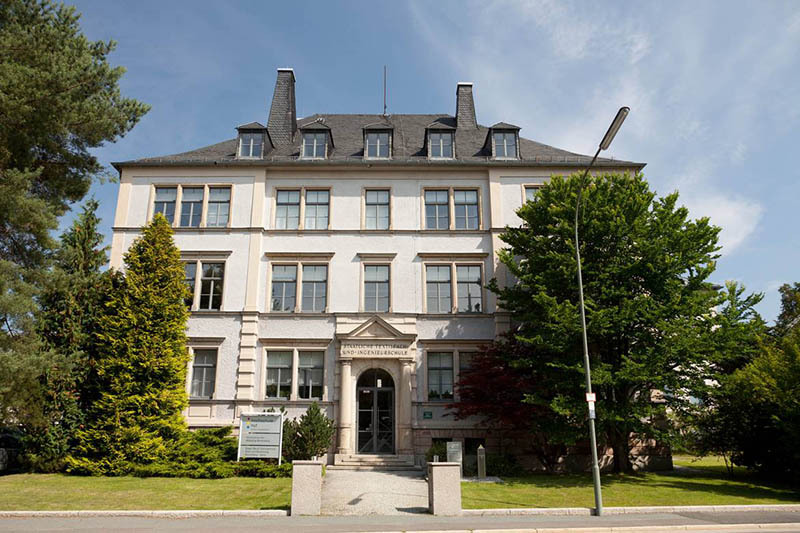 The program will offer a Germany-wide innovative study focus that will enable graduates to fill future interface activities, respectively project management tasks as well as management positions in India or within the context of India. The offered interdisciplinary professional lectures with regionally specific components have been specifically tailored to the information needs for economists in the application-oriented approach. In addition to the traditional methods such as lectures, internships and study abroad, students are offered opportunities on site to demonstrate and deepen their acquired skills during a 4 - to 8-week practical project. One part of the lecture will take place in India as part of a field trip. One part of the lecture is conducted by an Indian guest lecturer of the cooperating universities. One part of the lecture will take place in India as part of a field trip. One part of the lecture is conducted by an Indian guest lecturer of the cooperating universities. The subject of the practical project is individually selectable (in coordination with Prof. Patel). The contents of the module "Social, cultural and religious fundamentals of the Indian economy" arise largely from the title. The teaching language of one part will be largely German. On the other hand, the second part of the lecture „on site“ will be held in English within the context of a ten-day field trip to India. There, the subject matter is treated along with Indian students as a block course at one of the Indian partner universities of the University of Hof. A cooperation with the Nirma University, Ahmedabad/Gujarat is scheduled for launch. Under the aegis of Nirma Education and Research Foundation, the Nirma University combines diversified institutions such as - Institute of Technology, a leading business school - Institute of Management, an innovative Institute of Diploma Studies, a Institute of Pharmacy, an Institute of Science and an Institute of Law. All these institutions have a wide range of programs/study programs starting from Bachelor to PhD. Nirma University is regarded as one of the best universities in India. In the module "Economics and business fundamentals of the Indian economy", the general macro-economic conditions of the Indian economy will be covered. Furthermore, a brief outline of the economic history of India and current topics on the economic policy of the country will be given. Building on this, the focus will be on Business Administration topics. Success factors for an engagement in India will be explained as well as the ramifications of the infrastructural conditions within the country on the economic activities in India. In addition, issues such as interface management and project management in the German-Indian context will be discussed. The module "Indian Business Law" should empower students to move in the Indian economic area without infringing fundamental legal frameworks. The lecture will be held in English and will be divided among two lecturers. 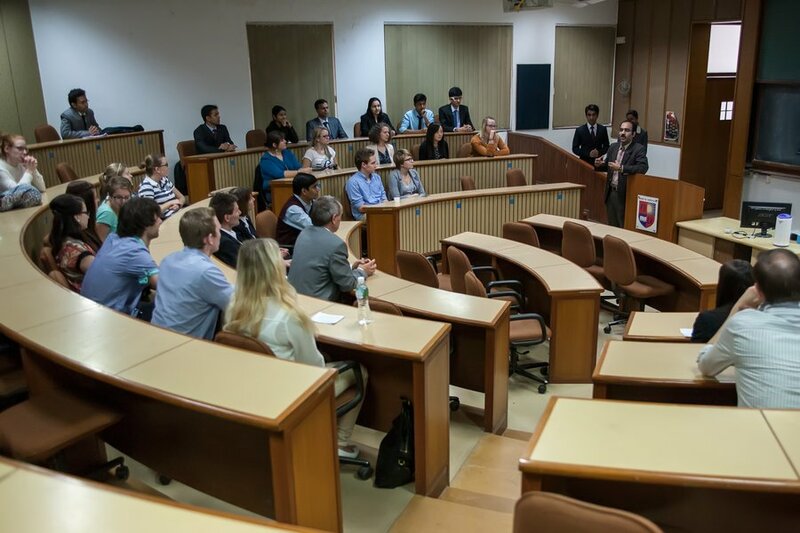 On the one hand, the university will annually invite a guest professor of the National Law School of India University, Bangalore - one of the most prestigious law universities of India. The second part will be held by a professor specialized in international law. The German business law will be compared to the Indian business law and thus, the differences between the German and Indian systems will be worked out. The module "Current developments in the Indian economy" will be held in English. One part of the lecture will be held "on site" in India during a field trip. There, the subject matter will be treated/deepened additionally to Module No. 1 along with Indian students as a block course at Nirma University. For the second part, the university will invite annually a guest professor of the Nirma University of Ahmedabad/Gujarat to the University of Hof. The module "Human resource management and leadership in India" will be held in English. Globalization in India has been accompanied by exponential growth, which enabled corporate India double-digit growth in recent years. While this is a positive achievement, it has led to a unique set of challenges, the identification of persons with technical and management skills and the vision to guide a company through uncharted waters. Thereby, the subject of "Human resources management and leadership" as well as strategy have moved to the very top of the agenda as major concerns of Indian corporate management. The module "Practical project India" is not mandatory, but provides additional diversified possibilities to collect further experience on the subject of India. The university is planning, among others, a collaboration with organizers of international work camps and with universities in India that organize multi-day events such as "Cultural Immersion" or "Discovery of India" with international students. Furthermore, an additional internship in India or a so-called "C-Level Executive Shadowing in India" at an Indian company would also be possible. Afterwards the students have to explain and present their experiences of those projects in a research paper. As part of the study focus, a study visit in India is very possible, but not mandatory. The University of Hof has plenty of Indian partner universities. Furthermore, the practical semester in India is possible. The search for an internship company is in principle the duty of the student. The University of Hof supports the search within the scope of their possibilities. To strengthen the intercultural competence within the context of a practical block, it is scheduled that the German students guide each a student of the GIMS program (German-Indian Management Studies) during the summer semester. For this purpose, they should participate in short intercultural trainings. During the semester they should keep together with GIMS students a fixed number of cultural, social and political appointments, e.g. visits to the movies and theater, celebrating an Indian festival, participation in discussions, shared cooking. Individual students may apply for participation in the Summer School of BayIND designed for the regional and cultural studies in order to be able to gather additional experience regarding India. 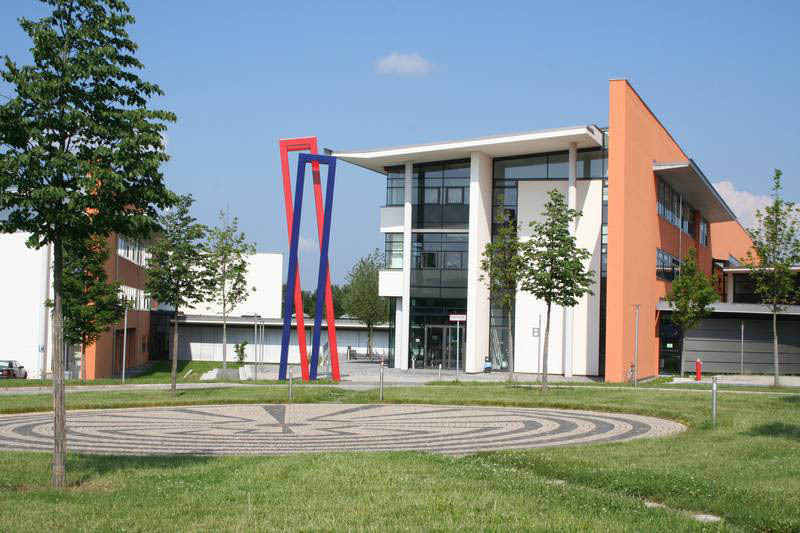 The two-week Summer School takes place once a year in the period of August/September. This event can as well be credited as a practical block.